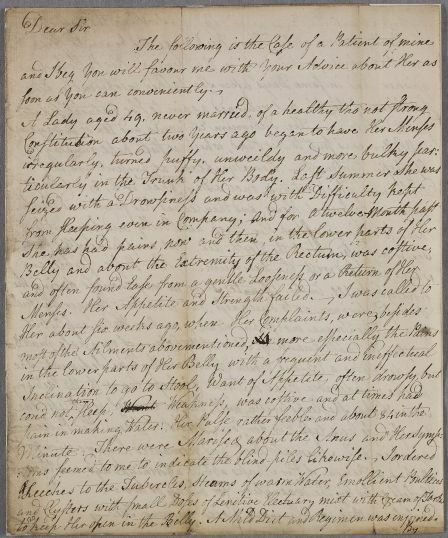 Letter from John Mudie regarding the case of an unnamed female patient aged forty-nine, who suffers bouts of delirious speaking which may ebe associated with the cessations of her menses; she also has piles and toothache. 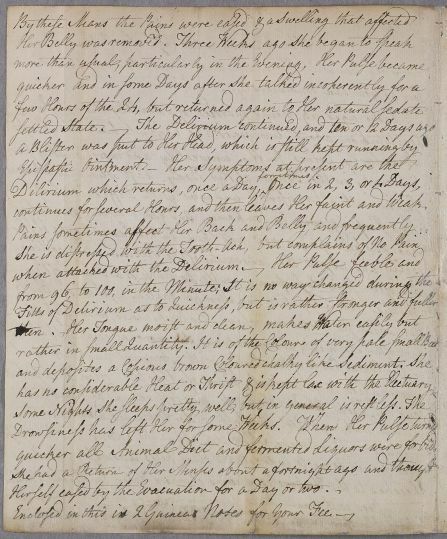 Summary Letter from John Mudie regarding the case of an unnamed female patient aged forty-nine, who suffers bouts of delirious speaking which may ebe associated with the cessations of her menses; she also has piles and toothache. Case of an unnamed female patient, aged forty-nine, with various symptoms, including bouts of delirious speech, partly associated with a cessation of her menses, but she also has blind piles and toothache. Case of Mr Fullerton, a former patient of Cullen's, who has recovered well. Soon as you can conveniently. to keep her open in the Belly. A Mild Diet and Regimen was enjoined. continues for several Hours, and then leaves Her faint and Weak. has no considerable Heat or Thrift & is kept lax with the Electuary. quicker all Animal diet and fermented Liquors were forbid. 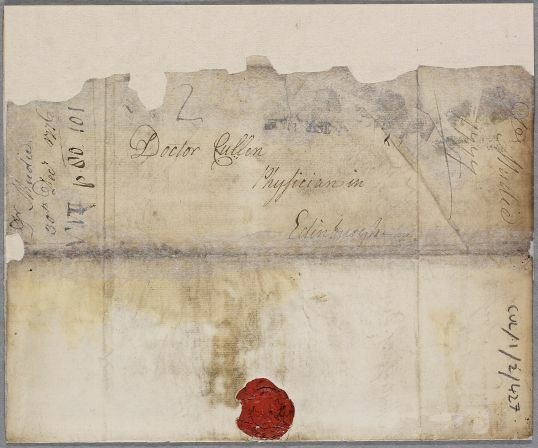 Enclosed in this is 2 Guineas Notes for your Fee. recovered. A regular Regimen was of Use to Him. 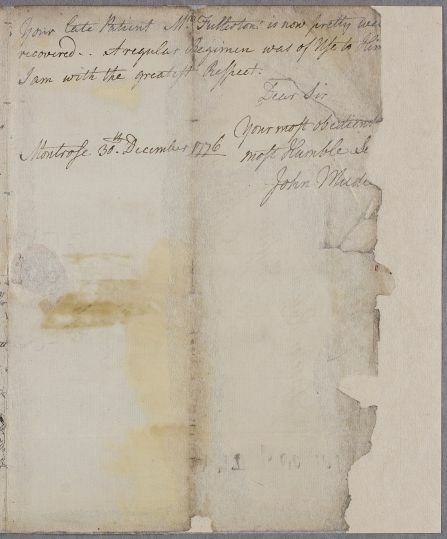 1: This early annotation may reflect someone working to an older tradition, only officially abandoned on 1751, in which the new year began on 25 March.